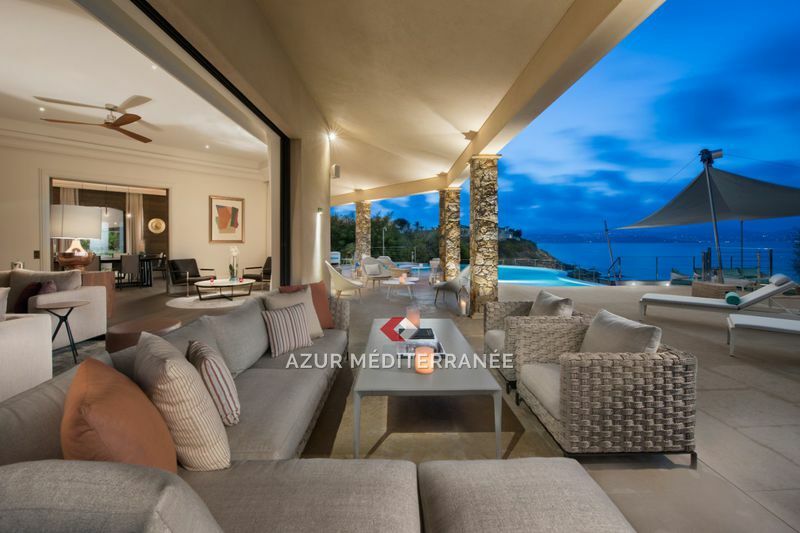 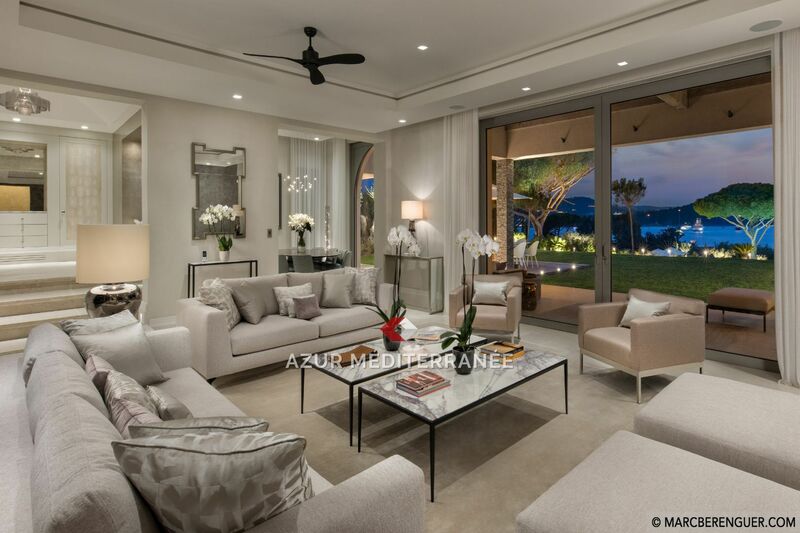 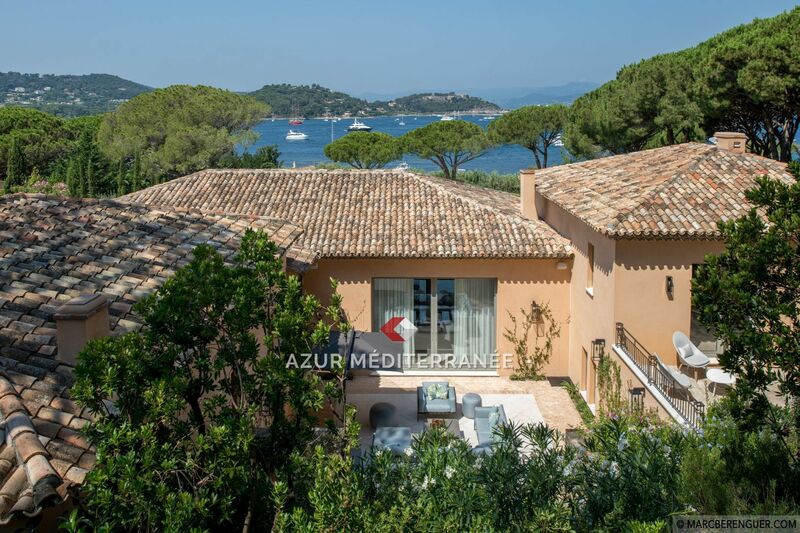 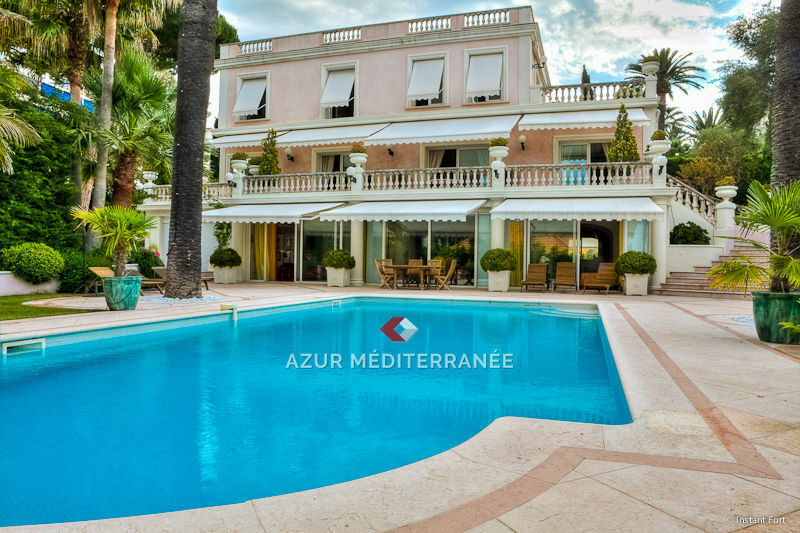 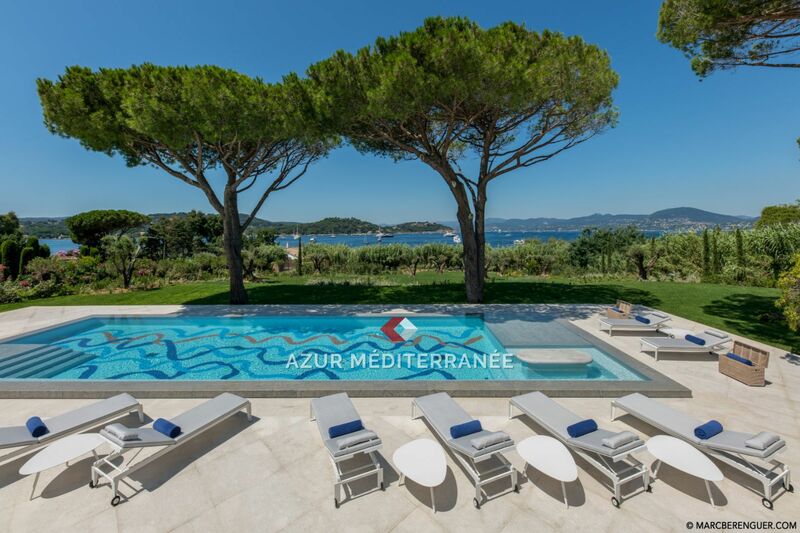 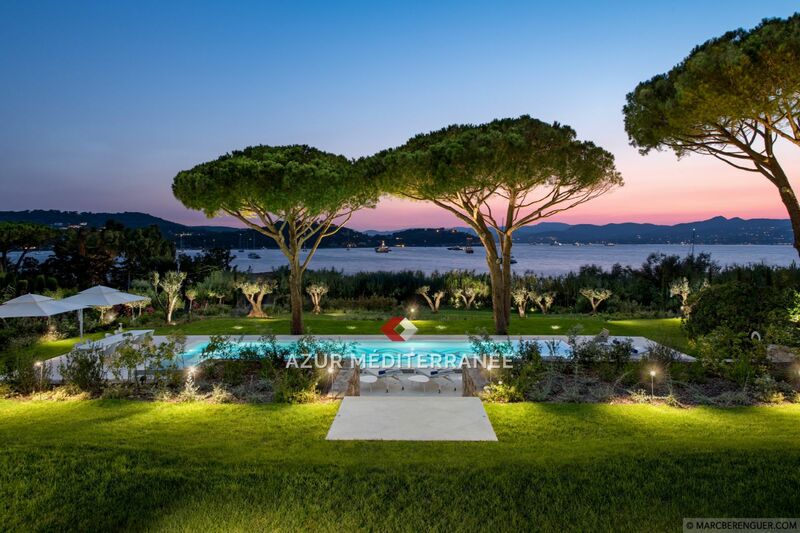 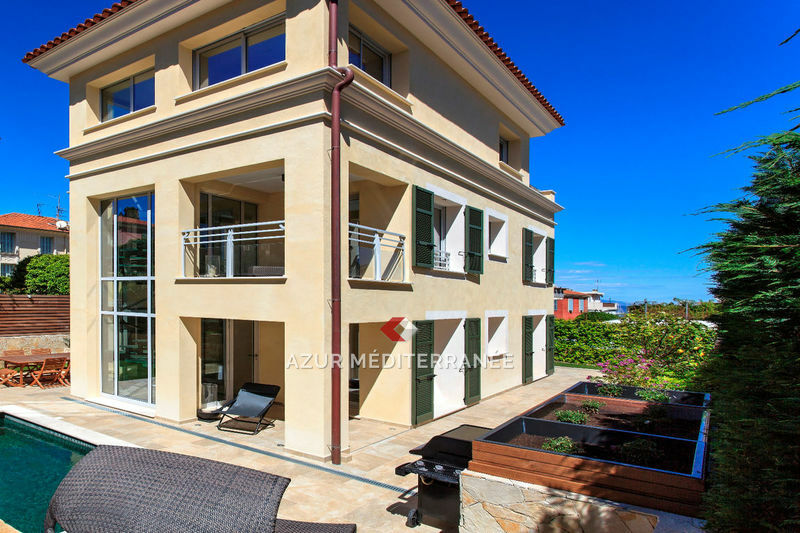 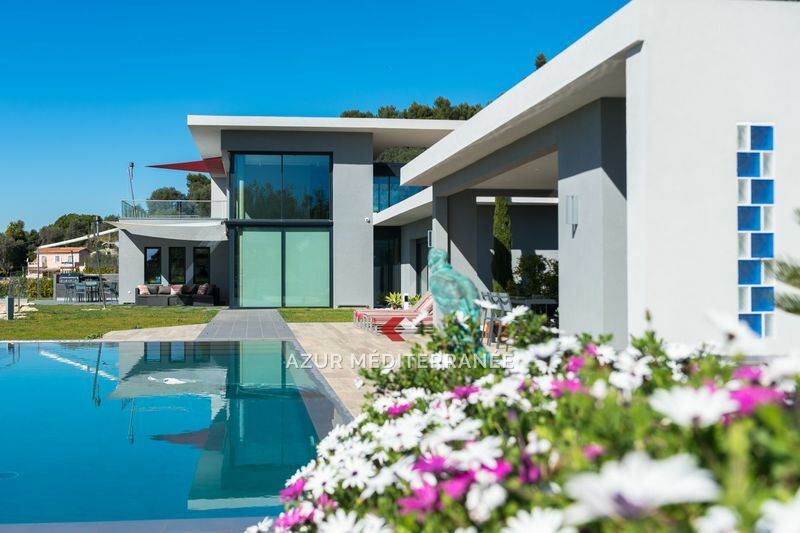 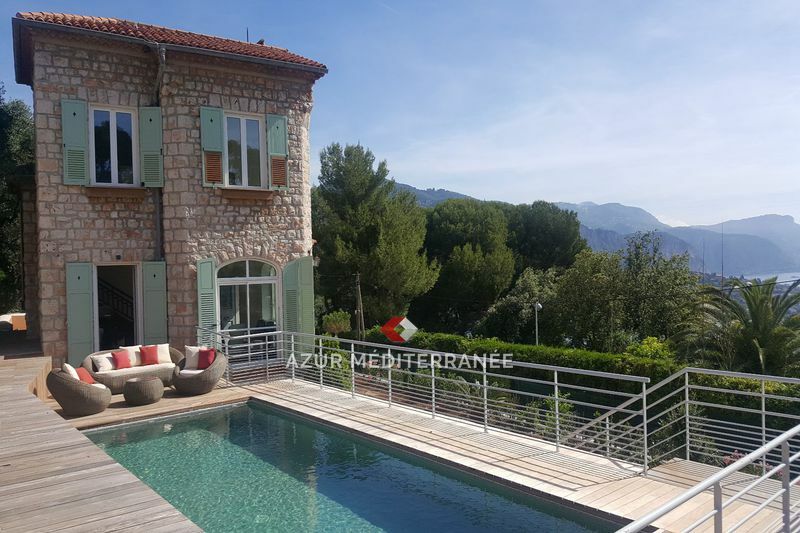 In an exclusive residential area of St Tropez, this vast house has direct access to the sea and a heated infinity pool of 20 meters breathtaking. 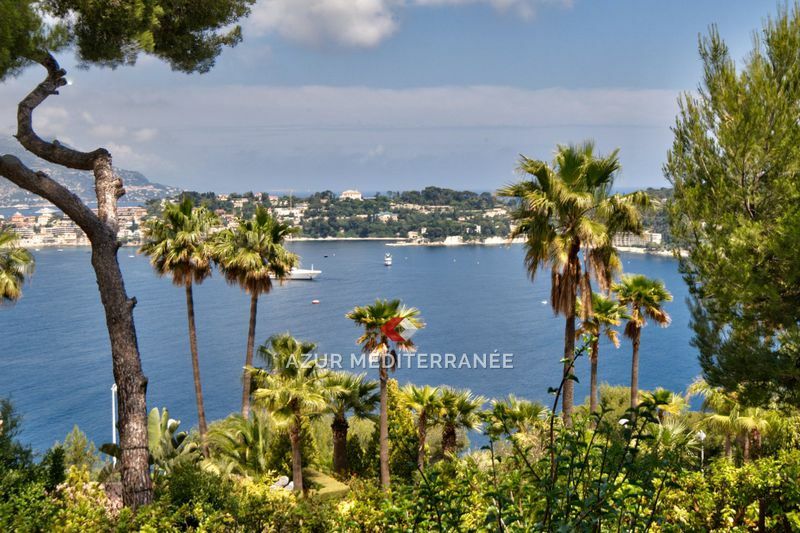 Its emerald green lawns are lined with Mediterranean plantations, palm trees, pines and bougainvilleas. 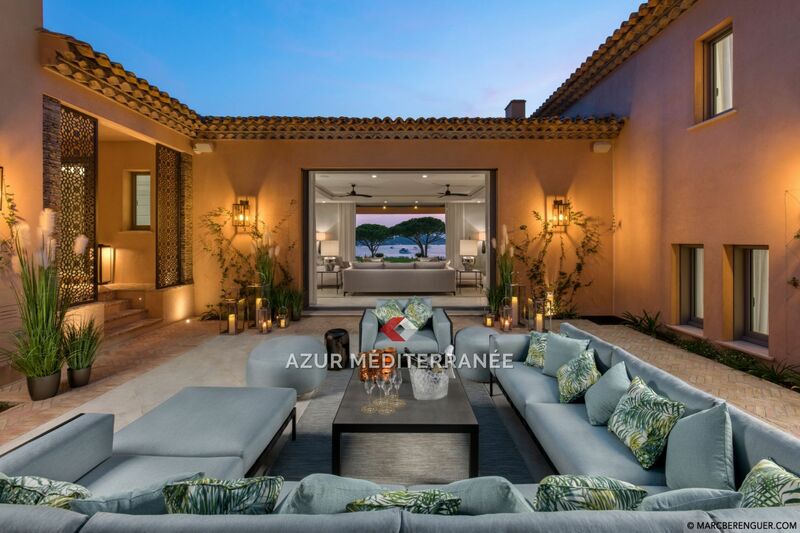 With its traditional but opulent style, this villa boasts sumptuous fittings and finishes, and combines the brilliance of the marbles, the softness of Italian stones and the elegance of the parquet floors. 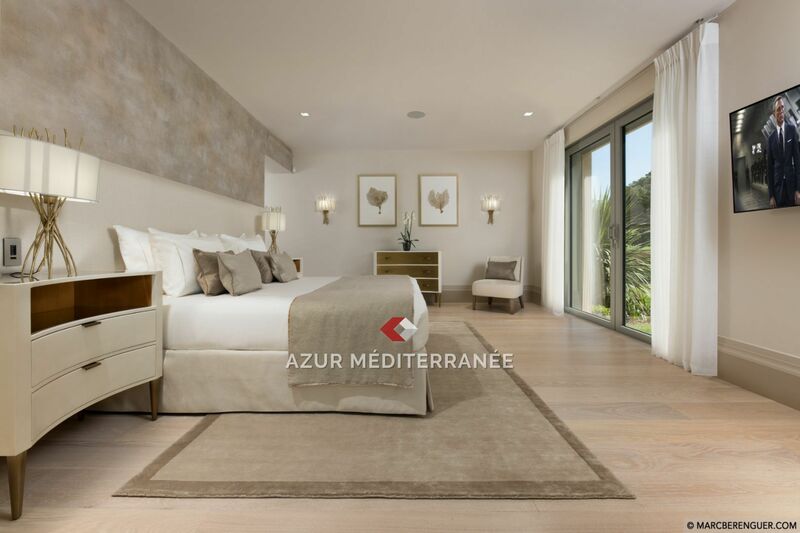 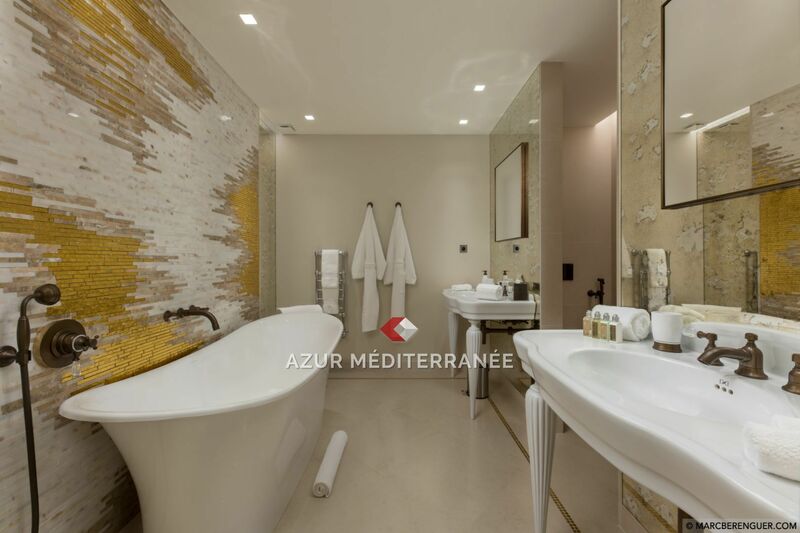 The master suite with its two bathrooms, Bulthaup kitchen, custom furniture and artwork completes this luxurious home. 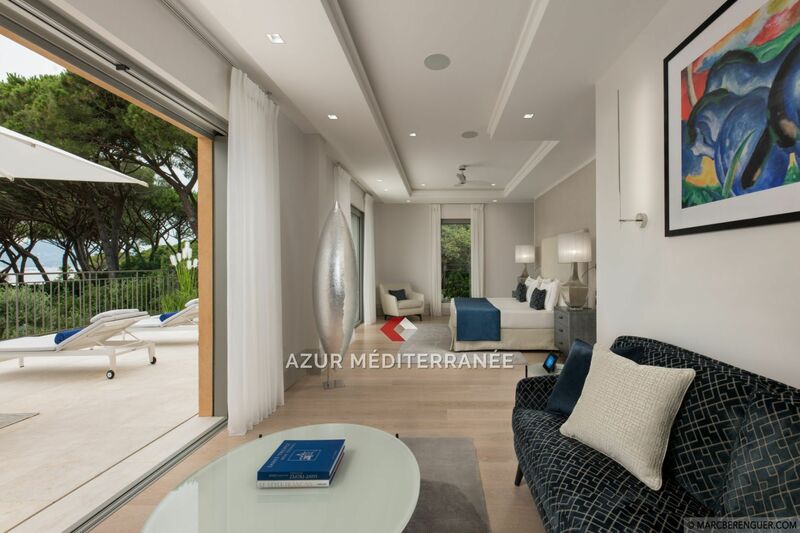 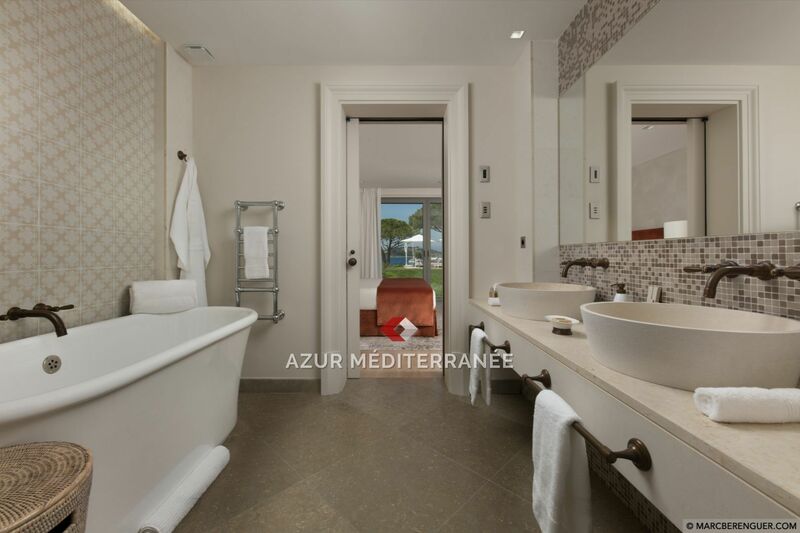 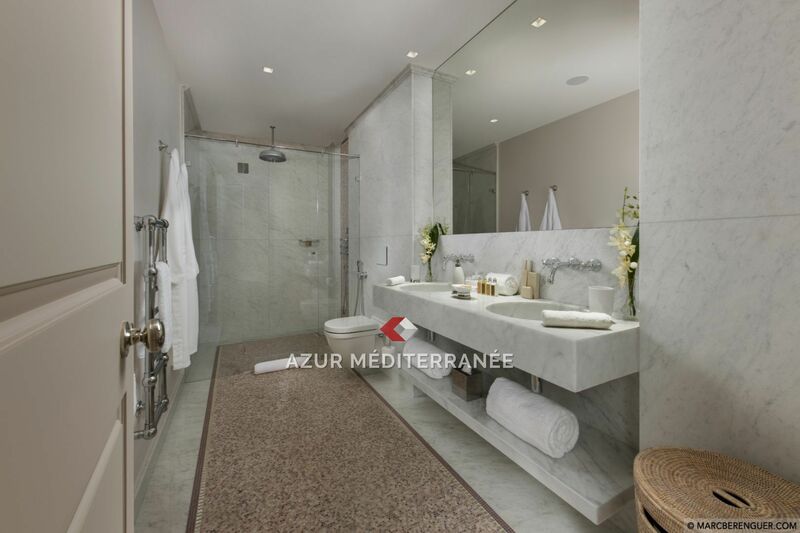 Its large terraces and large, spacious rooms offer panoramic views of the azure waters of Canoubiers Bay, while its enclosed backyard provides a more intimate space.